We at PCORI have just marked our eighth anniversary as the nation’s leading funder of research comparing which healthcare options work best, for whom, given outcomes important to patients. We’ve also just welcomed seven new members to our Board of Governors. And we’re only a few weeks way from our fourth Annual Meeting. We have much more to do in the year ahead to better serve our stakeholders, and we have a long list of plans for doing just that. But let me take a moment to mention a few of the milestones we’ve achieved by working closely with researchers, patients, clinicians, payers, employers, health systems, and others since Congress authorized our establishment in 2010. Funding. Our Board has approved more than $2.3 billion to advance patient-centered outcomes research since approving our first awards in 2012. This includes funding for research and infrastructure projects, activities to disseminate and promote the uptake of the results of our work, and support for advancing the patient and other stakeholders at the core of our work. Results. 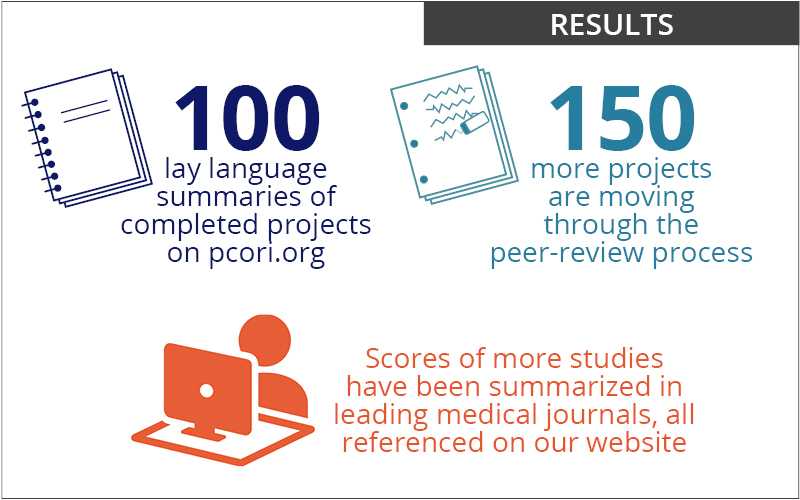 We have posted professional and lay-language summaries of the results of more than 100 of our completed projects on our website, with scores of additional summaries of findings in development. Results from dozens of addition funded studies have been reported in articles in leading medical journals. See more details here. Influence. 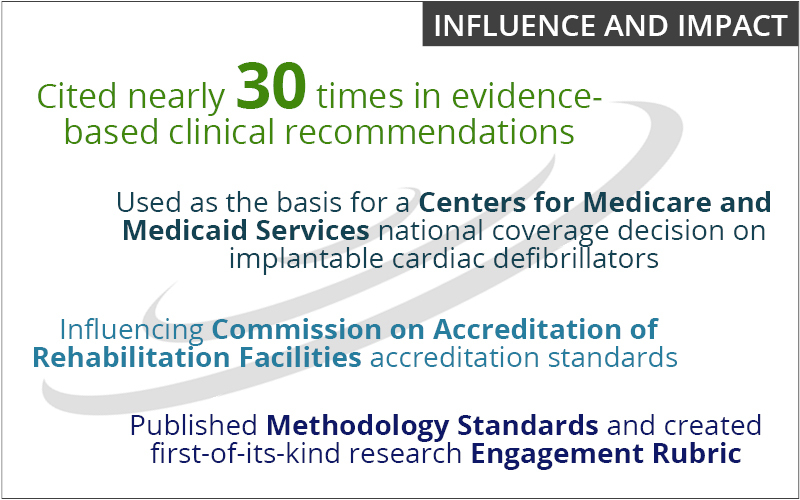 The results of our funded studies and other work are cited in evidence-based clinical recommendations, have been used by the Centers for Medicare and Medicaid Services to inform coverage decisions, influence accreditation standards, drive new academic initiatives, and more. PCORnet. 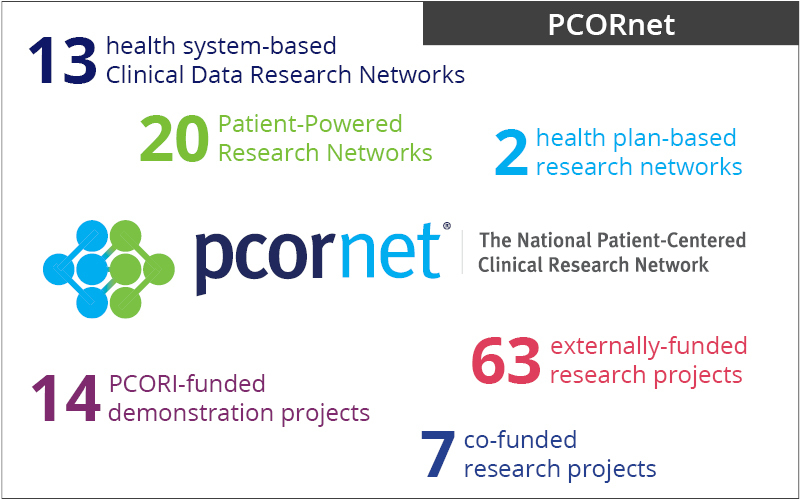 Perhaps our most transformative single achievement has been creating PCORnet, the National Patient-Centered Clinical Research Network​. 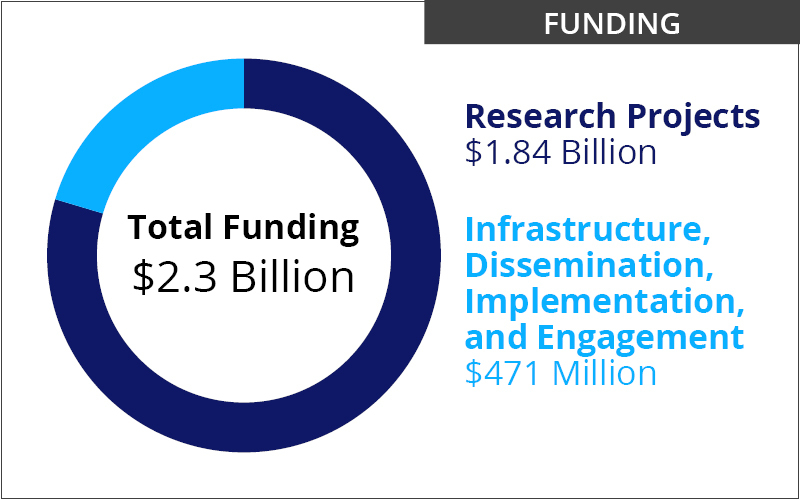 This network of networks is designed to leverage the power of data and partnerships to allow the nation to conduct health research more efficiently, effectively, quickly, and at lower cost than possible before. None of these achievements, and others that I’ve reported to you over time, would have been possible without strong PCORI Board and Methodology Committee leadership, a dedicated and highly professional staff and, most importantly, the involvement and guidance the stakeholder communities we serve. Doing an even better job of serving them is what will guide our agenda of initiatives in the coming year and, we hope, beyond. We plan to invest more than $400 million in research and other initiatives by the end of our 2019 fiscal year. As results from many more of our funded studies become available, we’ll expand our focus on making those findings available to the public as widely and quickly as possible and promoting the use of this information in practice. We’ll also work closely with our stakeholders to increase the specificity of our pipeline of research topics that can lead to studies expanding the evidence base on key questions of concern to them. At the same time, we’ll continue to work with the healthcare community to better meet their needs for practical information that can more quickly inform the decisions they make daily. This is especially true when it comes to the many new—and typically high-cost—therapies and technologies that hit the market with little or no information on comparative effectiveness. None of these achievements, and others that I’ve reported to you over time, would have been possible without strong PCORI Board and Methodology Committee leadership, a dedicated and highly professional staff and, most importantly, the involvement and guidance the stakeholder communities we serve. We’ve already put in place a process for creating a continuum of information products that can help lead to more definitive longer-term studies projects while at the same time providing information that stakeholders have told us they need sooner. I’ve mentioned a few of these before but let me remind you of how extensive the portfolio is and how much progress we’re making. Horizon scans. These identify new healthcare technologies and therapies of interest to payers, patients, clinicians, and researchers before they hit the market. We’ll work with stakeholders to develop a framework for forecasting which areas to focus on. Topic briefs on emerging technologies and therapies. These will summarize what is known about the effectiveness and potential adverse effects of new products as they appear. Our first, on CAR-T, the technology behind immunotherapy, and the gene editing technique known as CRISPR, should be available within a few months. Evidence maps. These are visual representations of evidence available on specific research topics. They will provide a clear picture of the current research landscape on areas of interest. We’ve completed two of these so far—on mHealth for the self-management of chronic disease and interventions for fatigue in multiple sclerosis—and will post them on our website soon. Evidence synthesis. Products under this initiative evaluate all relevant studies on specific clinical questions to clarify what is and isn’t known. The most common type is the systematic review; we’ve completed three of these so far, and, working with the Agency for Healthcare Research and Quality, are about to release a fourth. We are reviewing several-dozen stakeholder suggestions for more topics to study. Other options include different types of meta-analyses, which aggregate data from multiple smaller studies to produce more robust pictures of what is known about particular research questions. Evidence Updates. These provide practical, easy-to-interpret information that can help inform decision making by patients, clinicians, and policy makers based on systematic reviews and very strong study findings. We are already creating and disseminating Evidence Updates in collaboration with patient, provider, or other organizations. We’ve produced two so far, plan to release two more shortly, and have more in the pipeline. Rapid-cycle studies. These are small observational studies designed to quickly address stakeholder-prioritized research questions. We have several under way through PCORnet, on topics such as diagnostic or treatment options for cancer, diabetes, heart disease, and hepatitis c virus infection, and one to assess the feasibility of future stakeholder-prioritized research. And we plan more in the year ahead. I look forward to updating you on our progress on all these initiatives in the coming months. So please stay tuned. And as always, thanks for your interest in PCORI and your support of our work.